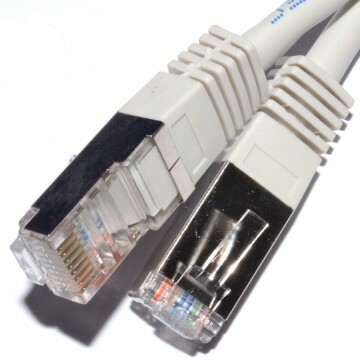 Cat 5E Network Cables with RJ45 ends. Shielded is needed in installations near high-interference devices. A shielded cable will retain signal strength and bandwith when passing near devices such as other electronics and power cables.